Will Illinois join the growing list of states that will try to regulate sports betting? Meanwhile, daily fantasy sports currently operates in the state under a negative opinion from the state’s attorney general. Illinois consider whether to legalize sports betting in 2018, but did not move to approve it. That could change in the 2019 legislative session. Single-game wagering is legal following the fall of PASPA in May 2018. Illinois statutes spell out which forms of gambling are allowed in the state. While many forms of gambling are permitted in some capacity, sports betting is prohibited across the board. The statutes do contain carve-outs for the lottery, pari-mutuel horse betting, bingo, riverboat casinos and slot parlors authorized by the Video Gaming Act of 2009. Riverboat gambling has been authorized since 1990 under a separate law. The state currently has 10 riverboat casinos, almost 30 pari-mutuel betting facilities and more than 6,000 slot parlors. No. Current statutes prohibit it. Who would oversee Illinois sports betting? The Illinois Gaming Board (IGB) has oversight over most other gambling activities in the state. Although it has not been determined, the IGB is the favorite to oversee a sports betting industry, too. Where can I bet on sports in Illinois? Who can apply for an Illinois sports betting license? Nobody is currently permitted to operate sports betting in Illinois. If that changes, the state’s 10 riverboat casinos could be the first in line for licenses. There are also nearly 30 horse racing tracks and off-track betting parlors that would be candidates for sports betting. Those facilities are currently overseen by the Illinois Racing Board. Who will be able to bet on sports in Illinois? The legal gambling age in Illinois is 21 years old. Will I be able to bet on my phone in Illinois? Current legislation directs regulators to determine which forms of sports betting would be permitted, including mobile betting. A decision has not yet been made. Illinois lawmakers considered sports betting bills for the first time in 2018. At least five of them were introduced before spring. H 4214 was the first, introduced in January by Rep. Lou Lang. Lang is the Deputy Majority Leader in the House. His bill is titled the Legalization and Regulation of Sports Betting Act, and it’s just five lines long. It would be wrong to not study this and see if it would be beneficial for the state should sports betting be legalized in the United States. If this is going to be a viable legal business, we don’t want to be behind 30 other states who have legalized it. 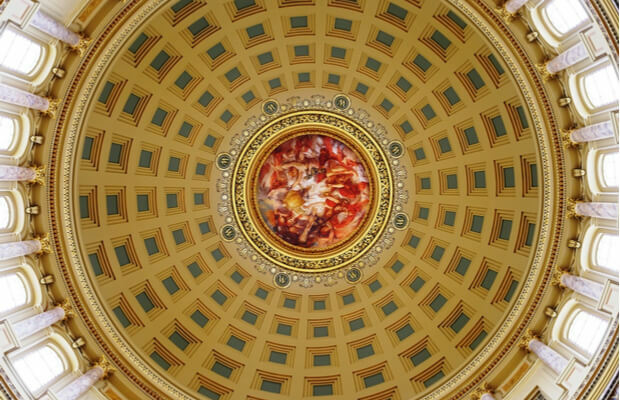 S 2478 was subsequently introduced in the upper chamber by Sen. Don Harmon. He’s the Senate President pro tempore. Harmon’s bill is titled the Sports Betting Consumer Protection Act. It’s noteworthy that he didn’t follow Lang’s lead with the title. Unlike its counterpart in the House, the Senate bill does not necessarily push for legal sports betting. Instead, it would let the Board (presumably the IGB) decide the issue. Unless prohibited under federal law and as otherwise provided by State law, the Board may adopt rules which prohibit or authorize sports betting or electronic sports betting by an electronic sports betting patron or sports betting facility patron through an electronic sports betting account on an electronic sports betting platform or other means with an electronic sports betting licensee or sports betting facility licensee. The bill would have exempted sports betting from the criminal definition of gambling if it’s ultimately legalized in the state. At least three more bills followed thereafter, including one of particular note. S 3432 was introduced in February by Sen. Napolean Harris, a former NFL linebacker. Harris’ bill is the only one in the state which includes the integrity fee and other concessions sought by lobbyists for the NBA and Major League Baseball. Is it legal to play DFS for real money in Illinois? There appears to be no problem for DFS players who want to take part in contests in the state, despite the attorney general saying it is illegal gambling under state law. Is it legal for DFS operators to take customers in Illinois? There’s not a straightforward answer to that question, but most sites do still accept players in the state. For a snapshot of which DFS sites allow players from which states, click here. Nearly every major daily fantasy sports site serves Illinois players. That includes the “big two” of DFS: DraftKings and FanDuel. Other major sites such as Yahoo! accept players in Illinois. Illinois is one of the earliest states to delve into daily fantasy sports, both in terms of its legality and possible regulation. The effort to regulate paid-entry fantasy sports started way back in the spring of 2015. However, legislation has not made it to the finish line in the past two years. A bill was sidelined in 2016. Several new bills popped up in 2017, but none reached the finish line. All of those legislative efforts came with the backdrop that Attorney General Lisa Madigan opined that DFS constitutes illegal gambling under state law in late 2015. Is daily fantasy sports legal in Illinois? The opinion from Madigan does not mean that DFS is illegal, beyond a shadow of a doubt. DraftKings and FanDuel are fighting that opinion in court, although there has been little movement in the case. In the interim, DFS sites operate in a legal gray area. Players should be able to assume that they are at no legal risk to play DFS; the onus would be on operators.